Grant Aid/Support available to achieve sustainability targets. Collecting and using data to guide infrastructure & planning. Funding: a requirement or not? Powering the future: Management, policy & culture. Waste management in food processing. Water & waste water management in pharmaceutical processing. Carbon management: monitoring & metering. Sustainable supply chain: Process, packaging, logistics. Powering the process: CHP, renewables, AD & BioEnergy. Finance, investment & return on investment. EMPI is a professional body for the energy management services sector operating in Ireland. With continued growth in demand for energy management and energy savings, the mission of EMPI is to play a leading role in facilitating and supporting the work of a national network of energy professionals. EMPI is a professional body; it aims to foster world-class energy management services in the interests of customers, EMPI members, the environment, and protect the independence and integrity of the profession. 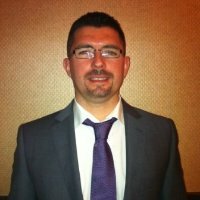 I am a results-oriented engineering management and energy management professional with extensive experience in the toughest industry sectors. Best described as proactive, talented and committed, and with a proven track record of achievement, I aspire to use my leadership, management and engineering skills to the maximum effect. Stephen is responsible for Electrical Systems, Life Safety & Security systems and subject matter expert for Potentially Explosive Atmospheres. Stephen’s presentation will focus on the significance of having Efficient, Reliable and Safe Electrical Installations. The Presentation will touch on the effects of Power Quality, Earthing & the importance of Electrical Maintenance. Mike Brogan is co-founder of Enerit and has been responsible for energy and environmental management software projects for public sector organizations and multinational corporations throughout the world. 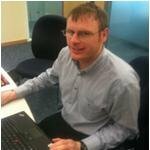 Mike has a PhD in Mechanical Engineering from the National University of Ireland and is a member of the ISO/TC 242 Energy Management committee for Ireland. Delivery of software to organizations globally for almost 20 years. Founded in 2004, Enerit is the second software company that Mike and the management team at Enerit have founded. Over the past 17 years of my career I have worked in the regulated industries of pharmaceutical manufacturing and oil and gas production and I am currently the EHS & Security Lead at the Pfizer Biotech manufacturing plant in Dublin, with responsibility for the operation, maintenance and development of the environment, health and safety management systems to ensure manufacturing operations at the site are in compliance with the relevant legislation and operating permits under which the site operates. Over the past 10 years the Pfizer Grange Castle site has been working to minimise the impact of site operations through conservation of natural resources and the active engagement of colleagues to reduce waste from production on site. The Green Journey that the site has embarked on has been recognised with the site winning the Large Green Manufacturer Award in 2011 and being finalist in the Green Awards in 2010 and again in 2012. 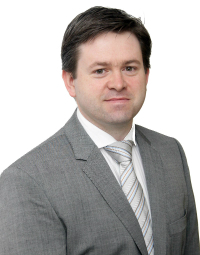 Sean is a senior lecturer in Lean and Six Sigma Systems in the University of Limerick with over twenty seven years’ experience in Aerospace (12), Medical device (14), and Electronics industries. Sean has held various roles in continuous improvement, operations, engineering, manufacturing, R&D, metallurgical evaluation; chemical & heat treat processing, including interaction with the regulatory authorities. Sean’s primary role in the medical device industry was in the development, teaching and applying Lean & Six Sigma concepts in the industry . As part of this role he developed the Abbott Vascular Divisional Six Sigma program and delivered over 100 waves of training in Europe, US and Central America. The core program consisted of Black Belt, Green Belt, and Yellow Belt with Champion Training specifically for the leadership teams. Supplemental programs consisted of Design of Experiment, Kaizen events, Value Stream mapping and SAS JMP statistical analysis training. This program has contributed to annual reportable seven figure savings, as well as contributing to process and quality improvements. Sean is a Shingo Prize winner with the Abbott Vascular Plant in Clonmel, Ireland. Sean was responsible for the implementation of Lean principals in the Lufthansa group and its success locally, led to other sites within the group adopting and successfully implementing the approach. Sean has led Industrial/Academic collaborations and has published in peer reviewed journals. Sean has a PhD in analytical statistics through the Dept of Mathematics & Statistics (UL) and has an MSc in Manufacturing with a thesis on Lean Manufacturing in Aerospace Environments and also Post Graduate Diploma’s in Quality (Lean and Six Sigma) (UL) & Manufacturing (OU). 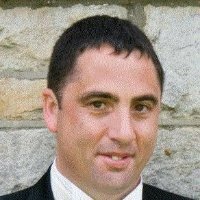 Sean is a certified Black Belt and has completed two Black Belt Training programs through GE & Six Sigma Associates. Eugene is a specialist in modelling electricity markets and market design. During his 26 year career he has experience of power station operations, IT, market design and regulation, forecasting electricity prices and production volumes. He manages a team of ten who use a suite of tools to model the GB and Irish electricity markets. They forecast prices, demand, wind production, interconnector flows and production of power generating stations. 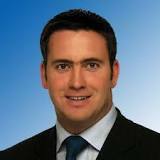 The team provides modelling services to all sections of ESB. 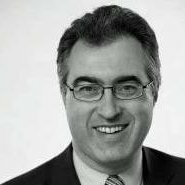 Ireland is currently designing new electricity trading arrangements, in order to comply with EU regulations, he is a senior member of the project team that is influencing the market design and ensuring ESB’s readiness. Ruth will discuss waste-to-energy infrastructure in Ireland and its environmental benefits for the industry, in terms of carbon footprint, reduction in transportation costs, and thus CO2 emissions, and production of green/renewable energy. Also, the benefit for Ireland in relation to self-sufficiency, sustainability and meeting EU policy targets. 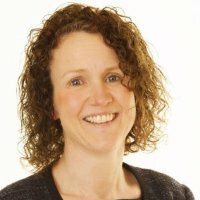 Secondly, Ruth will introduce case studies concerning ‘Molecule Management, Closing the Materials Loop’. Ruth will highlight the economic benefits to industry players in working together to recover materials from waste and will introduce recent project and technology developments which will provide greater flexibility and alternatives for specialised waste streams in Ireland. 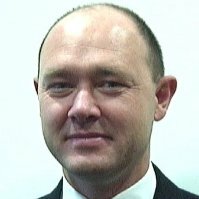 Dr. Keagan is a specialist in the areas of Lean/World Class Business and Benchmarking with Enterprise Ireland. He has focused on adapting these concepts for small and medium enterprises (SMEs). He has worked closely with a large number of companies, helping them introduce the concepts of world class manufacturing based on objective benchmarking. 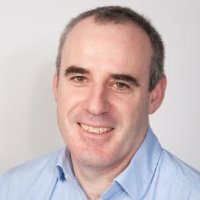 He has written several books on the topic and is a Adjunct Assistant Professor, in the Business School at Trinity College Dublin, lecturing at MBA on Operations Strategy and undergraduate level on Operations Management, and as a guest lecturer at National University of Ireland – Galway, to both undergraduate and MBA levels.